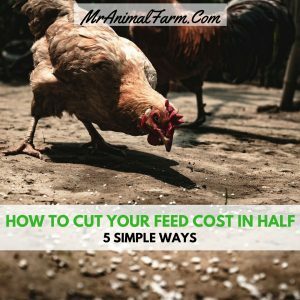 How to Cut Your Chicken Feed Cost in Half – 5 Simple Ways! Cut your chicken Feed Cost in Half, you say? If you’re like me, you lie in bed at night dreaming of cheap chicken feed. No? Maybe you lie awake thinking of cheap chicken feed? No? Passively think about it sometimes? I thought so! It can’t be possible to cut your chicken feed cost in half, right? I mean, they have to eat. Back in the day, we had a small flock of laying hens (15, to be exact). They had a large run area that we painstakingly built so they would be safe and happy. These 15 laying hens were eating 3+ 50 pound bags of organic chicken feed per month. They had a hanging feeder in their coop, like this one, and we let it flow with whatever feed they could eat. When talking about expanding the flock, the feed bill became the key con for getting more hens. 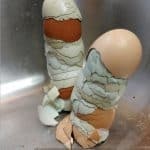 Afterall, in addition to having funny chickens to watch and yummy eggs to eat, we would like to save some money by raising our own eggs. In order to add new layers, we had to figure out how to make cheap chicken feed. 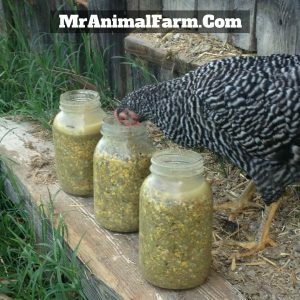 If you aren’t familiar with fermented feed, you can learn more here. Fermented feed will not only save you a TON of money on feed, but it is also healthier for your chickens. So, really it is a win-win. Plus, instead of that $20 hanging feeder, you can feed your flock from these small metal dog bowls we LOVE them and they are only $7! You can also use bigger rubber tubs/bowls which cost a little more, but hold more feed. By fermenting our feed alone, we cut our chicken feed bill almost in half. Until, of course we added more chickens….like 30 more. However, we still only go through about 2 – 3 50 pound bags of feed now with around 45 layers!) So, if you only choose one thing to cut your chicken feed cost, this is the one. Free-ranging is not always possible. This will not be an option if you have neighbors close by or a lot of predators. However, if your situation allows for free-ranging, this is cheapest of the cheap chicken feed options. Free-ranging encourages your chickens to get up, get moving and find their own (FREE) food. The more they can find and eat for free, the less feed you need to pay for thus making it a great way to cut your chicken feed cost down. 3. Garden & Kitchen Scraps. 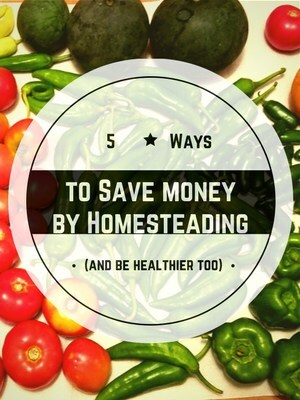 We always try to repurpose and use everything on our homestead. 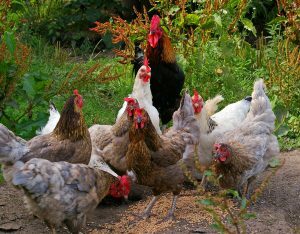 By feeding your chickens garden extras (maybe even planting extra specifically for them) and any kitchen scraps you have left over it provides them with a feed source which otherwise would have gone to waste. 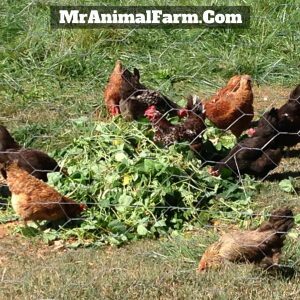 This idea is an excellent way to cut your chicken feed cost as you are using food that you already have (FREE). Plus, it’s really fun to watch them run around fighting for pumpkins and other special treats. 4. No Waste Chicken Feeder. One of the main ways feed bills can start to get out of control is simply all the waste that occurs. Watch your lovely chickens eat from their hanging feeder. They’re so cute, right? Now, watch them and look for all the feed they are scratching out of the feeder onto the ground. It’s like dumping dollars into the dirt. There are a wide variety of no waste chicken feeder designs out there. You can make one really simply from PVC pipe or a more elaborate one like this. 5. 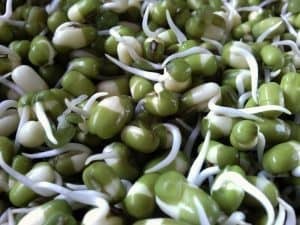 Grow Your Own Fodder. Fodder is essentially growing your own greens for your chickens. It does take a little work up front to get your fodder growing system in place. 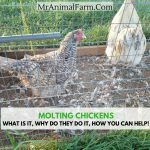 Once you are growing fodder for your chickens you will see how it can really replace some of the grain in their diet. Fodder can significantly cut your chicken feed cost. There you have it, try a few (or all) of these tips to cut your chicken feed cost in half. Although it may seem impossible at first, it is totally possible to decrease your feed bill drastically. If you want to be able to track how much you are spending in chicken feed, check out these profitable homesteading worksheets which provide a complete walk through and template for how we track our feed costs! What step will you try first to decrease your feed bill?